* An astounding 20 trials! Attending the Virginia Women Veterans Summit was way more than what I expected. With over 700 registered attendees, there was more than enough information and value out of this event for all. Honorary host committee attendees, to name a few were, Senator Jennifer Wexton, Delegate Kathleen Murphy, and several former First Ladies of Virginia. There were several summit speakers which included, Commissioner of Virginia Dept of Veterans Services, John L. Newby II; Virginia’s Secretary of Veterans and Defense Affairs, Carlos Hopkins; and former First Lady, Dorothy McAuliffe. Great to see these businesses with a strong workforce of Women Veterans and look forward to when APA can be a recipient of such award. 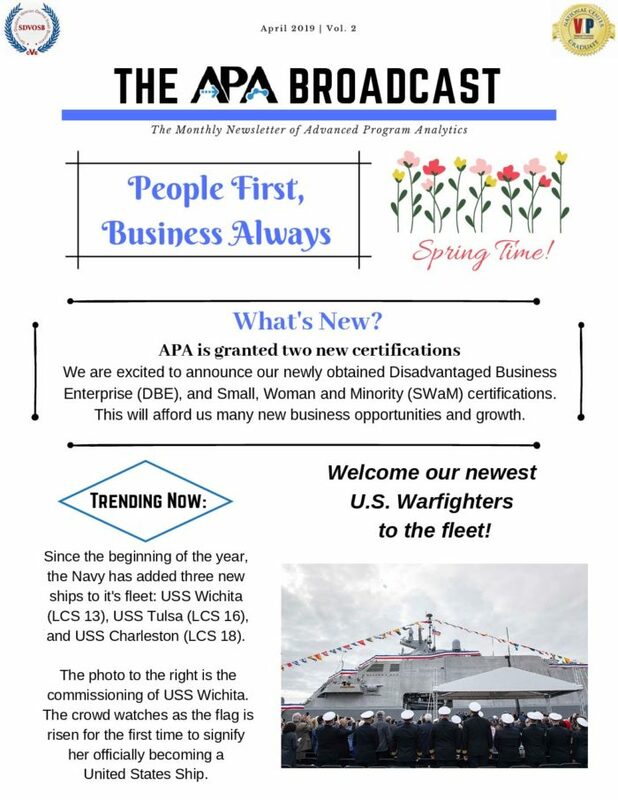 I would have to say, that this event truly provided a lot of valuable information for my “cargo pocket” and I thank APA for the opportunity to attend along with another APA colleague. Look forward to next year!! I had such a great time speaking with the many companies that came out to support the Virginia Women Veterans Summit. It made for an awesome opportunity to find worthy causes to volunteer for, and also explore future career paths. I also gained a lot of valuable career advice that I can put to use right away. Can’t wait to go again next year! During this one-day event, several WOSB, VOSB, and SDVOSBs had the opportunity to network and gain insight knowledge from VA representatives on the process of becoming CVE certified, and the VA set asides for both VOSB and SDVOSBs. Topics discussed were Kingdomware Rule of 2, being procurement ready, and the importance of reaching out to the Office of Small and Disadvantaged Business Utilization Offices within other agencies. There was also a strong emphasis on RFIs and feedback was provided by some of VAs contracting officers on how these should be submitted. 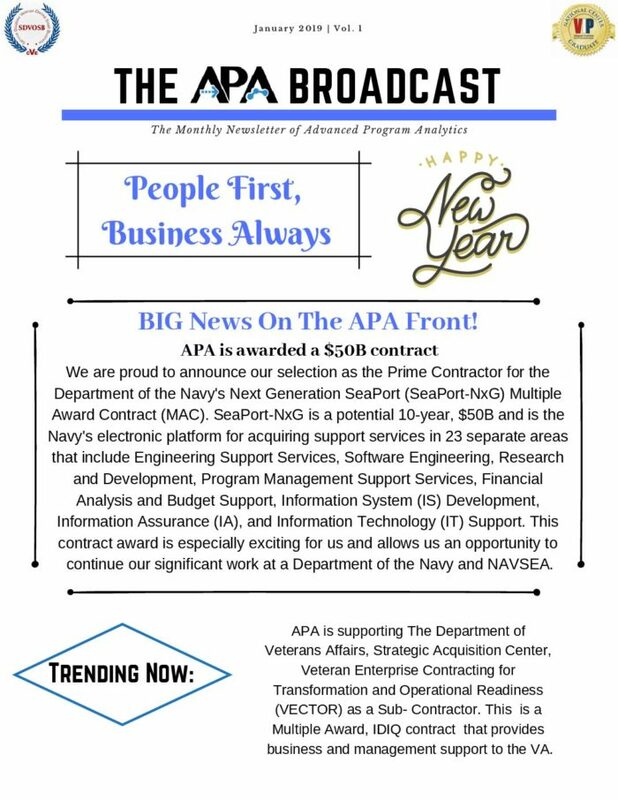 This was also a great opportunity for APA to network with other small businesses as well as a proud moment to know that APA is both CVE certified and procurement ready to do business with the VA.